Despite the concerns about the government's ability to effectively deliver on its Renewable Energy Independent Power Producer’s Procurement Programme (REIPPPP), a number of projects achieved financial close last week, opening the door for the building phase of projects to begin. This brings the Department of Energy’s chosen renewable energy projects one step closer to providing energy for the national electricity grid. Cennergi, the newly formed 'cleaner energy' company started by coal mining giant Exxaro, and India’s Tata Power, achieved financial closure on 229 megawatts of wind power which will see significant investment going into the Eastern Cape communities of Bedford, Cookhouse and Tsitsikamma and will see renewable energy projects delivering electricity to the national grid. 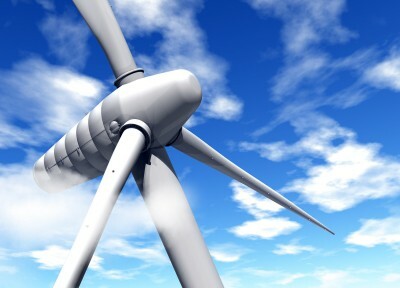 The company signed its purchase power agreements (PPA) and implementation agreements (IA) with the relevant South African government departments and state-owned enterprises, thereby formalising the financial closure of its two Round 2 wind farm projects in the Eastern Cape, in terms of the Department of Energy’s REIPPPP. The department hosted the signing of financial close documents for its preferred bidder renewable energy projects at its Centurion Project Office last Thursday. The Cennergi team has been working tirelessly under challenging conditions to ensure all the conditions contained in the project and financing agreements have been met. The approximately R7-billion combined investment funds for the projects will start flowing when financial close with the banks takes place toward the end of May. Execution of the projects will then begin, although significant work on the sites will formally start in 2014. “It’s a huge achievement for the team involved, and for the shareholders who have supported us, because it demonstrates the ability of the management team of Cennergi to successfully close energy projects. It proves that Cennergi’s successful launch last year is underpinned by substantial projects,” said Demetri Pappadopoulos, Cennergi strategic adviser and Exco member. Cennergi’s Amakhala Emoyeni Wind Farm project is a 134MW wind farm located near the town of Bedford in the Eastern Cape. Fifty-six Nordex turbines of 80m hub height and 2.4MW capacity each will be installed on the land, which has an excellent wind resource and close proximity to infrastructure such as roads and the national electricity grid. The Cookhouse and Bedford Community Trusts together own 5% of the equity of the project. The Tsitsikamma Community Wind Farm, which Cennergi is developing together with Watt Energy and the Tsitsikamma Development Trust, is a 95MW wind farm located on the amaMfengu community land, in the Eastern Cape. 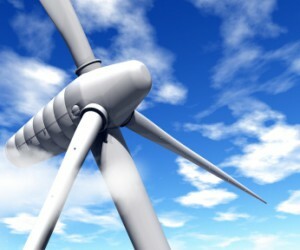 Thirty-one Vestas wind turbines will be installed with a hub height of 94m, each with a capacity of 3MW. Cennergi owns 75% of this project while Watt Energy and the Trust own 25%. The financial close of these two wind projects is a promise of hope for the Eastern Cape communities surrounding the projects. Cennergi has a focused and dedicated economic development programme within each energy project, aimed at developing and uplifting the communities situated within the direct vicinity of each power project. “The projects’ commitment to socio-economic development was clearly communicated to the communities through general and forum meetings and other communication tools such as the quarterly newsletters that are distributed in these communities. In this case, both project communities understand very well that reaching financial close will be a beginning of greater things for them,” said Noxolo Mbana, Cennergi’s executive manager: Sustainability and Economic Development. “As a Bedford community member, financial close means the start of the construction phase of the project, which will in turn bring about jobs and skills development programmes into our community,” said Dr Lana-Lorraine Blom, Bedford community member and project co-ordinator for Thembani SDCC and Bedford Integrated Projects. Cennergi recently announced that it is on the acquisition trail and is looking to obtain sizeable operational energy projects on the continent, not limited to renewables. Now that it has successfully closed two renewable projects, it is casting the net wider to include coal, gas and hydro projects. The technologies used in these kinds of projects will be 'cleaner energy' technologies, but not constrained to renewable technologies only.